Throughout the past five years, the Slate River has witnessed a rapid surge in recreational use due to the increasing popularity of stand up paddleboards (SUPs). The Slate River is a vital element of the Crested Butte community—its presence in the heart of Paradise Divide is one of the most prominent characteristics of the Upper Gunnison Valley, defining Crested Butte as an exceptional place. The proximity of downtown Crested Butte to a river valley with some of the state’s highest functioning wetlands, a broad range of recreational opportunities, and unmatched scenic quality is unique, and demands ongoing stewardship. As river recreational use has intensified, new concerns about habitat protection, water quality, commercial use, and the protection of private property have arisen. These conditions are compounded by the patchwork of landowners and managers along the banks of the Slate. To address the challenge of integrating the needs and desires of many different stakeholders along the Slate River, the town of Crested Butte and the Crested Butte Land Trust have convened a collaborative working group, made up of 18 stakeholders with interest in the river corridor. 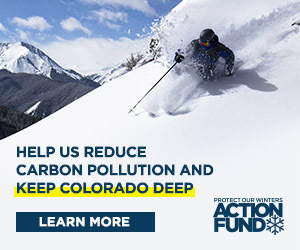 “As open space managers and conservation easement holders, the town and the land trust are obligated to ensure that the diversity of uses on conserved lands are compatible with the character and natural resource values of the landscape,” said working group co-convener Michael Yerman of the town of Crested Butte. To date, the town and the land trust have conserved more than 1,100 acres throughout the Slate River Valley, including approximately four miles of Slate River corridor and 210 acres of high-functioning wetlands on the valley floor. The working group’s geographic scope includes a 10.5-mile stretch of the Upper Slate River, from the Oh-Be-Joyful campground to the north, to the Skyland pedestrian bridge to the south. The stakeholders include town of Crested Butte, Crested Butte Land Trust, Bureau of Land Management, Colorado Parks and Wildlife, Coal Creek Watershed Coalition, High Country Conservation Advocates, ranch operators including Bruce Allen and Bill Lacy, Upper Gunnison River Water Conservancy District, Gunnison County, Skyland Metro District, commercial users including Irwin Guides and Crested Butte SUP, private landowners including Wynn Martens, Tim Szurgot, Randi Stroh, and Wayne Meredith, and local river-advocate Tom Barry. The group intends to work through the summer, presenting a draft management plan in late fall 2018, while implementing some short-term solutions this summer including signage and the establishment and education of river-recreation etiquette. At its initial meeting May 16, the group identified key values relative to the Slate River and inventoried river-specific opportunities for better management. The group also considered productive methods for engaging community involvement and gathering feedback, which it aims to formalize at its next meeting. “Knowing the ecological, economic and recreational importance of the Slate River, the working group is thrilled to engage in a thoughtful dialog aimed at effectively managing and maintaining this vital community asset,” said Hedda Peterson of the Crested Butte Land Trust. The next working group meeting is scheduled for June 6, 2018. Please visit www.cblandtrust.org for more information and to access meeting minutes. Any questions or concerns about the working group process may be directed to slateriverworkinggroup@cblandtrust.org.